Who knows what we could expect to see in the nearest future of 3d printing technologies but now, thanks to them, you can create a lot of things, for example a full size kayak. Jim Smith, a 3D Systems engineer, maker and founder of the Grass Roots Engineering blog is the first man who transferred this idea into reality. Jim has been working on 3d printing technologies since 2008. 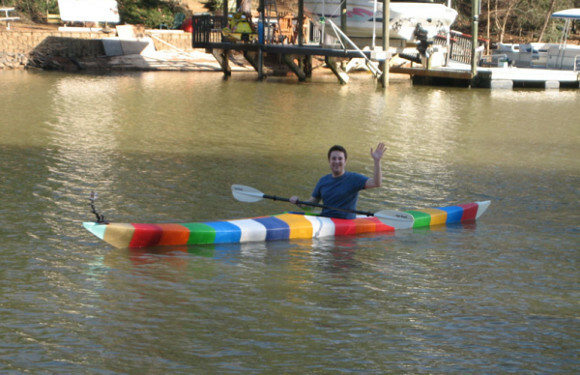 To create the kayak, he built his own low-cost FFF 3d printer with an incredible build volume of 403x403x322mm (16x16x13″). 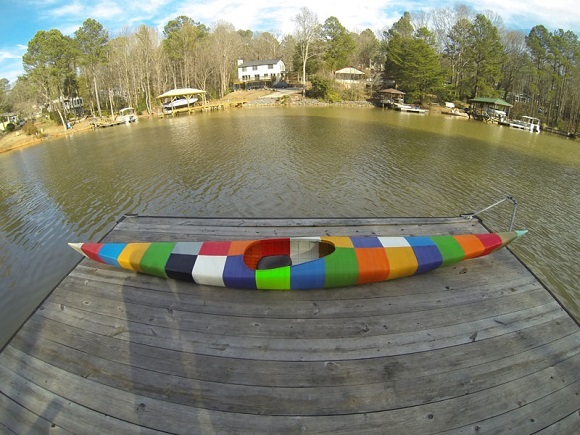 The kayak consists of 28 3d printed sections of different colors. Jim says that the initial idea is based on the Siskiwit Bay kayak by Bryan Hansel, but heavily modified for 3D printing. The shape of the kayak was tweaked to optimize performance based on my height and weight. 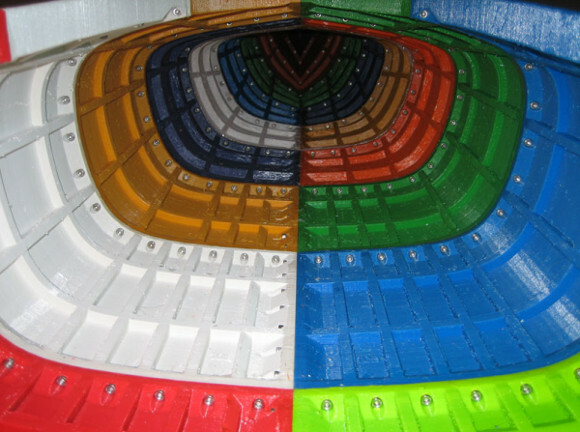 “To reduce print time and material usage, the kayak is printed at a 0.65mm layer height. It features a 6mm thick hull with a built-in, internal rib/support structure to give it strength, yet be lightweight and use less ABS plastic. On the bow and stern of the Kayak I added attach points for cameras, handles and future add-ons.” Jim explains. Its width is 0.52 meters and a total weight is about 29.30 Kg. Total print time is 1012.65 hours, or it is 42.19 days. The total cost of the kayak is about $500. You may find additional information in Jim’s blog or watching the video below.